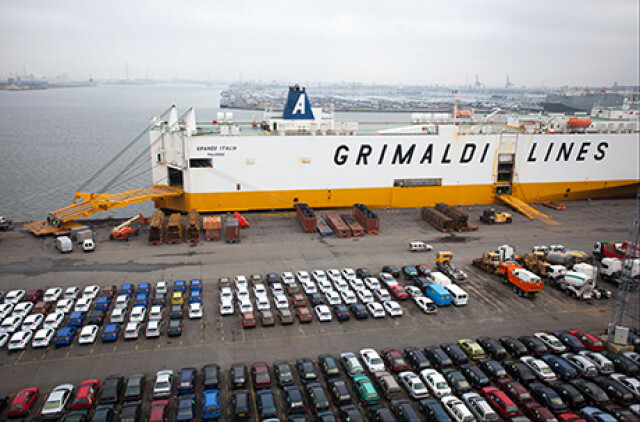 The MSC and Grimaldi Group terminals of Valencia port will use two hydrogen-powered machines to load and unload containers and to introduce trailers on ships, as part of a project to improve energy efficiency and reduce emissions. At the MSC facility, a “reach stacker” type truck powered by hydrogen will be used to move containers, replacing the diesel unit, and will be tested operationally, as was done six years ago with LNG. The hydrogen will also be applied to a tractor to introduce the goods rolled on the ships, which will require 4×4 power, according to the responsible for environmental policies of the Port Authority of Valencia (APV), Raul Cascajo. Valencia will be the first port in Europe to use port vehicles powered by hydrogen batteries, an action integrated into a three-year transnational project financed by European funds that will also be transferred to Italy’s Livorno harbor. Several participating companies (Hyster-Yale, Atena and Ballard) will manufacture the machines and batteries of the project, which includes a hydrogen tank that will recharge the batteries after transporting the gas by means of a truck to the machinery. The H2Ports project, with an investment of 4 million euros, is part of the search for the improvement of energy efficiency and reduction of emissions by the APV, which is already thinking of a second part to permanently install a facility to generate hydrogen. Hydrogen is a clean and renewable energy and will be one of the many topics to be addressed at AltFuels Iberia 2019, taking place on 11-14 June at IFEMA Trade Fair Center, in Madrid.